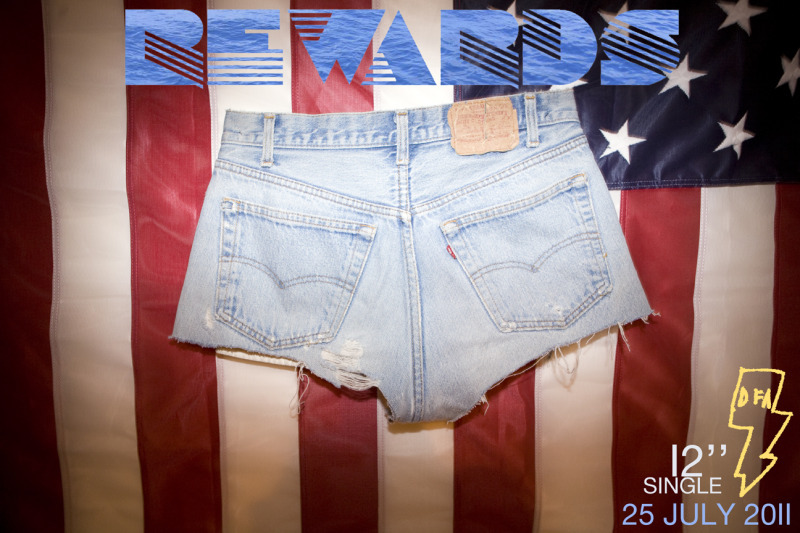 Rewards is a project from Aaron Pfenning co-founder of Chairlift. Seems he has departed from Chairlift and is now focusing on Rewards, a moniker he's used since 2003. His new release is gonna be the single "Equal Dreams" which will be released on DFA Records on July 25th. It features guest vocals by Solange Knowles and guitar work by Blood Orange aka Lightspeed Champion on the b-side "Asleep with the Lights On". "Equal Dreams" is a nu-disco sounding track that fits well into the DFA soundscape. The b-side is pretty sweet as well. A bit more on the electro-pop side. You can stream the tracks directly on DFA's site here. In addition to the single he did a DFA DJ Mix for their series DFA Radio Mixes. Number 17 in the series. Seems I have some catching up to do. You can listen to/download the mix via the widget below. Good stuff. Enjoy!